BIOMEDIS is a medical device indicated for application of low frequency electromagnetic therapy. 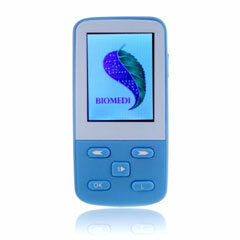 BIOMEDIS will help you to improve your health and immune system, and prevent diseases in time. How does impact by the device BIOMEDIS take place? The device BIOMEDIS reproduces informational signals of our body. Electromagnetic oscillations of low intensity which are generated by the device cause resonance response in the organism. Thus, the following processes take place in the body: activation of physiologic oscillations which correspond to healthy cells and organs, and neutralizations of pathologic oscillations caused by ill cells and tissues, viruses, bacteria and fungi. As a result, the organism restores normal functioning of ill organs and homeostasis of its systems. Applying BIOMEDIS, we run body's natural mechanisms of self-regulation. How should BIOMEDIS be used? It is very easy to use BIOMEDIS. After turning on the device, you should choose needed complexes of programs, switch on them, and do anything you desire without paying attention on work of the device. Since the apparatus has insignificant weight and small dimensions, you can take it with you wherever you go. Even a child can be learnt to use the device. Functionality of the device allows using over 3000 physiotherapeutic programs which compose complexes. Each program represents a set of frequencies generated by the device consistently with specified time duration. If the device lacks required frequencies, there is a functional possibility to compose own programs, entering frequencies by hand. Regime and time of impact can be regulated. 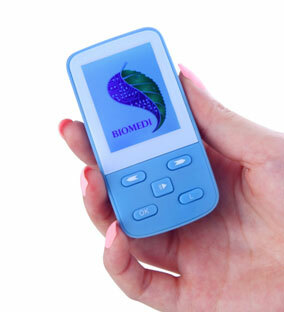 The detailed instructions attached to each device can help to understand essence of applying BIOMEDIS quite quickly. To make the treatment more effective, it is recommended to contact a doctor that can help you to compose complexes of programs. The physiotherapeutic device has registration certificate for production of medical equipment and declaration of conformity. Consider contraindications related to application of device noted in instructions! Ask your doctor for advice! You may learn out about any our product here. Do you want to learn out more? Our consultants will be happy to answer any questions.